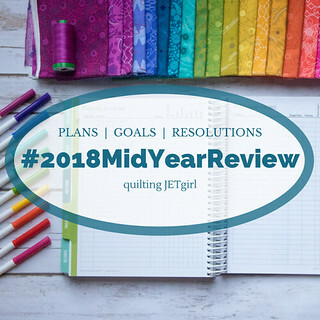 I really appreciate Yvonne's nudge to revisit my 2018 goals for her 2018 Mid Year Review Linkup. A quick peek at my 2018 Goals post reminded me of what I had in mind for 2018. My goals break down into these categories: Teaching, Patterns, Design, Challenges, and Garment Sewing. I started teaching quilt workshops in late 2017 and wanted to continue into 2018 and beyond. I attended two Meet the Teachers events (in Northern and Southern California) in April, featuring my two Planned Improv workshops. 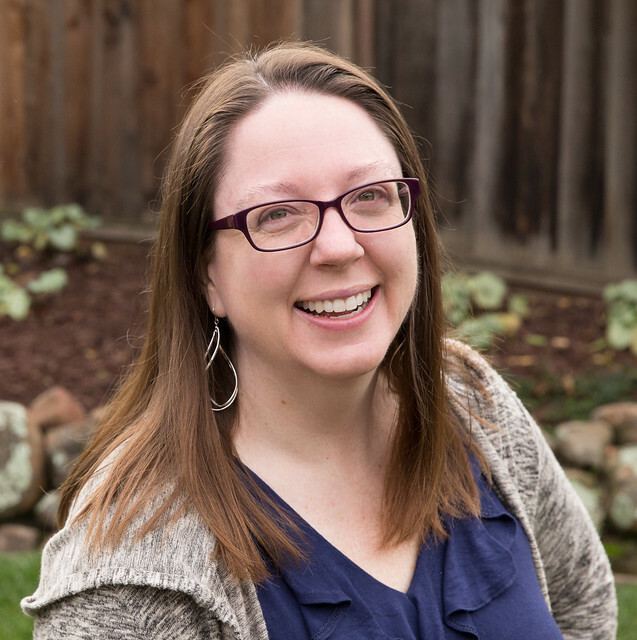 From these events, I am booked to teach and lecture at six California quilt guilds from November 2018 to May 2019. I'm still intrigued by the possibility of developing online quilt courses, but that piece continues to be on the back burner for now. There are three patterns in development (Scattered Squares, Floating Hexagons, and Ziggity Zag) which were slated for Q1 launch. They have been fully tested and are awaiting final edits and finished cover quilts. Other aspects of life took priority in Q1 and Q2 and Summer vacation does not provide a lot of time for the work that remains. They will be published as PDF patterns this year and I intend to have print patterns available by January 1, 2019. I think these two actually go together, focusing on producing my own designs and participating in quilt challenges. I also wanted to use more solids. I've been using more solids in my designs, including submissions for Curated Quilts: i Mini and Connections. I participated in the six weekly Project QUILTING challenges at the start of the year. Mellow Yellow was one of those projects that featured solids. My involvement as an Island Batik Ambassador has provided monthly challenges in which to stretch my design muscles. And I've been working in a series with variations of my Scrappy Squares and All About Angles Planned Improv techniques. These projects will appear in my trunk shows when I lecture. No progress here. I am allowing myself only two projects in the queue, with no further stashing of garment fabrics for future projects. (I already have a quilting stash and don't want to build a stash of garment fabrics.) Currently, I have the Butterick pattern, B6024, blouse in dark cerise chambray and a Blackwood Cardigan in black and white stripe bamboo jersey. Once one of those is made, I can queue up another. I've gotten so far as pre-washing my fabric for each. I'm loving listening to the Love to Sew Podcast, which is a major inspiration to sew garments and I've love to make progress and add to #quiltersmakinggarments on Instagram. This may be a category for "once the kids are back in school." Thank you to Yvonne for hosting the 2018 Mid Year Review Linkup. Posted in Quilting. Tags: goals on July 15, 2018 by sarah. Progress in 3 of the 4 categories really isn’t bad is it? I also started making garments for myself this year and I listen to the Love to Sew podcast. I really look forward to seeing your makes! I think you're doing well with your goals. I have to remember to do my own mid year review. Thank you, Anja. I look forward to seeing your review. Thanks for taking the time to review and linkup again. It's awesome that the Meet the Teachers events resulted in 6 guild bookings. It can be hard to balance goals and the events that pop up in life, but it seems to me that you are tracking well with your big, top level goals, and I hope you continue to have a wonderful rest of 2018. Thank you so much, Yvonne! The linkup was so helpful in prompting me to take a look at what my focus for the year was intended to be and reflect on how it's going. You are doing quite well onyour goals...some things just take longer than others. Garment sewing is just a bit more difficult and takes more room than quilting - at least for laying out patterns - and that is where I am stuck! Wish you continued success in your goals for the second half of the year! Yes! A tidy (and large) cutting area is key! I've only made kids' garments and they don't require as much space. ;-) Thanks for visiting, Kathleen. I think you are making impressive progress towards your goals. Thank you, Lisa! I think that a lot of the value of looking back at the goals is the awareness of how much one has accomplished. The day to day shuffle can often feel overwhelming and unproductive, but over time little bits of progress add up. "infinite time to do all the things I enjoy"..... that would be the best, wouldn't it? You are doing fine - being a mom to two school age kiddos is very time-consuming but blink twice and they will be in college and only coming home for holidays - you'll have all the time then. Hope summer is going well Sarah! The quote could really be narrowed down to "infinite time to do all the things." I often don't feel like I have enough time to do the required things. It sure is a busy season of life. Thanks for visiting, Bernie. Congrats on your great progress in most of your areas, especially all of the quilt guilds you have booked! Thank you, Cheryl. I'm excited to visit more guilds starting this Fall.